One of the hardest decisions when running a business is determining which apps, tools, and services are worth worth spending money on. Especially when you’re just starting out on a tight budget. Am I really going to use this? I’ve seen a lot of questions about business expenses and apps worth spending money on in the Elle & Company Community, and after almost four years of entrepreneurship, I thought it would be helpful to give you a sneak peek at what I spend money on each month for my business. I’ve done a lot of paring down over the past year to the essentials, and I believe these expenses are worth every penny! Disclaimer: I am an affiliate for some of the items listed below, and there are affiliate links throughout this post. However, I only recommend products and tools that I use and love! After trying four different webinar platforms, I finally stumbled on Crowdcast and I haven’t looked back. Crowdcast costs me $195/month, but it’s been crucial for building trust and engagement with my audience, collecting email addresses, and repurposing content on the blog and the podcast. I also use this platform to host team meetings with my assistants each month and strategy calls with my coaching clients. Crowdcast is well worth every penny! ConvertKit has been an important tool for growing and managing the Elle & Company mailing list. ConvertKit subscriptions range in size depending on the size of your list, but I’m currently charged $199/month. However, my list is crucial to sending out my weekly newsletter, pointing subscribers to new content, and promoting new offerings, so ConvertKit is a more-than-necessary business expense. Out of all the programs and tools I use on a daily and weekly business, I spend most of my time in Adobe Illustrator. And the best news? At $32.01/month, Adobe Creative Suite is one of the cheapest expenses on my list! Another more-than-necessary business expense? Accounting software and someone to manage my books! I started using Quickbooks over two years ago, and in hindsight I should’ve started using it right from the very beginning. It’s great for invoicing clients, keeping up with expenses, and seeing how much money you’re actually making month after month. However, I don’t know about you, but categorizing expenses, creating profit and loss statements, and keeping my books in order for tax time are all tasks that I don’t (A) trust myself with and (B) don’t want to spend my time doing. So I ended up hiring the team from Steadfast Bookkeeping to take care of all of that work for me, and I’m currently on their All Aboard plan. Having their help has not only freed up my time to do other things each month, but it’s also given me much more peace of mind knowing that my books are being handled correctly. 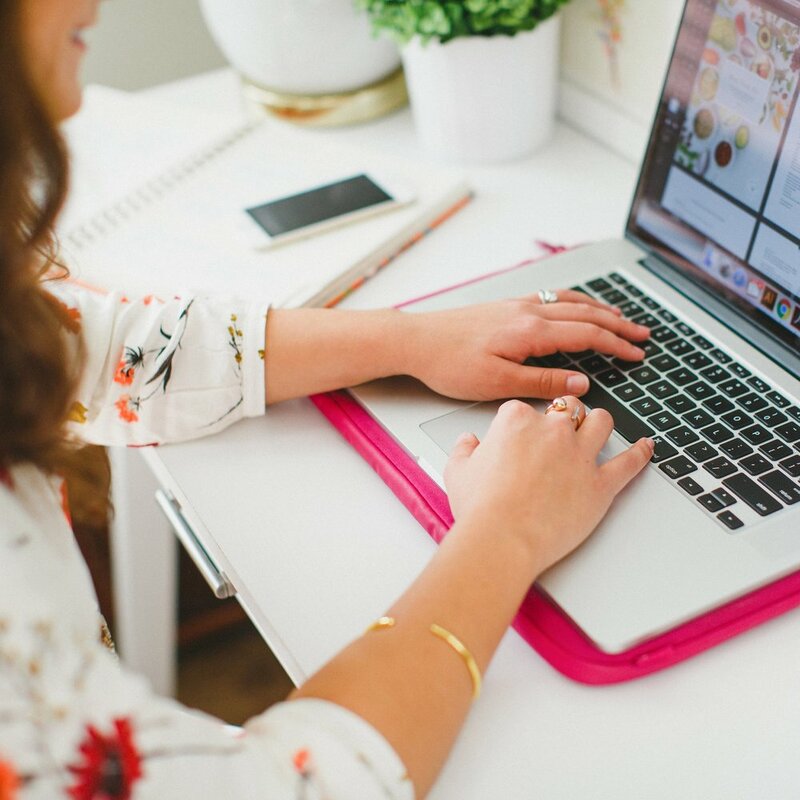 Between me and my assistants, there are 4+ separate email accounts that end in “@elleandcompanydesign.com,” all run through Google Suite. And much more. Again, worth every penny! Have you ever gone back and forth through several emails trying to schedule an appointment with a client or industry peer? Calendly makes scheduling a breeze by linking to your calendar and allowing people to choose a day/time that works best for them. Calendly’s Basic plan is free, but I currently pay $8/month on their Premium plan for a few extra features like unlimited event types, customizable email notifications and reminders, and Zapier integrations. And with all of the client meetings, course one-on-one calls, and client inquiries, that $8 is well worth it! Rev is a handy service for transcribing audio from videos, and I use it weekly for my Ellechat webinars. Each time I wrap up an Ellechat, my assistant downloads the replay video and sends it off to Rev to be transcribed. Rev gets the transcription back to us within 24 hours, and we add it to the bottom of the show note blog posts for a couple reasons: (1) To make it easy on people who would rather read the content than watch the webinar and (2) To organically increase SEO for keywords that are mentioned throughout the webinar. Rev charges $1/minute, so depending on the length of each Ellechat, we usually spend anywhere between $40-60/week on Rev transcriptions. If I didn’t pay this expense each month, you wouldn’t be able to read this post right now! It’s kept my website up and running for the past 4 years and I attribute much of my business’s success to using this platform. I highly recommend it and continue to recommend it to online business owners in numerous industries for it’s usability, beautiful templates, and all-in-one features. I’m currently on the Business Plan and pay $288/year, which rounds out to $24/month. Related Posts: I have numerous related posts for Squarespace! Click here to take a look at them all. While there are many online course platforms out there, I recently switched my Adobe Illustrator Basics and Freelance Academy courses over to Teachable after testing out a few other platforms over the past year and a half. Teachable offers so many conveniences I never knew I wanted until trying out other online course platforms that didn't work out for me. Teachable pricing ranges from $39-$299. I'm fortunate enough to not currently pay for Teachable as I am an affiliate, but even if I wasn't able to access Teachable for free, I would willingly pay for it! MeetEdgar has totally transformed our Elle & Company social media strategy. Unlike other scheduling tools like Buffer or HootSuite, MeetEdgar archives each social media post and shares it again in the future. Like Teachable, I don't pay for MeetEdgar at the moment but I would gladly pay the $49/month to use this tool. Not only does it recycle content for platforms like Twitter, Facebook, AND Facebook groups and pages, but it also allows you to schedule one time posts like typical social media schedulers. It truly allows you to run your social media almost on autopilot. 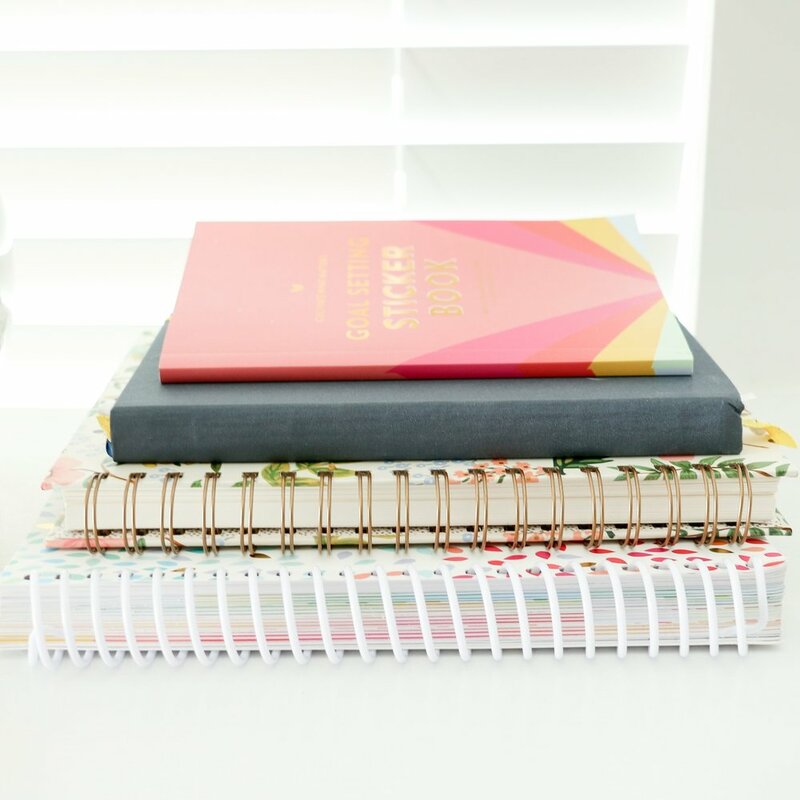 I also use a couple free tools that are essential to running Elle & Company. So essential, in fact, that I would gladly pay money for them. It felt wrong to leave them off this list! Asana - I was hosting an Ellechat a week or two ago, talking about Asana, when someone asked me for free suggestions for project management platforms. I was excited to tell them that even though it seems like Asana would charge users to access their platform, Asana is free! They have a couple of paid plan options, but I’ve never found a need for the features included in them. Asana is, by far, my favorite project management app out there (and believe me, I’ve tried several). The fact that it doesn’t cost a penny is just icing on the cake! Slack - My assistant, Marisa, suggested that we use Slack when she came on board a little over a year ago, and I was a little bit skeptical. Would Slack really be that helpful? Wouldn’t emails and phone calls suffice? Oh my word - Marisa saved the day with her suggestion! Slack makes it so easy to communicate as an entire team and individually among team members. Instead of checking my inbox multiple times a day, I can leave Slack open and easily talk to my assistants, answer questions, etc. Another free platform that’s changed the way we operate. Now I don’t ever want to function without it! Toggl - My assistants and I use Toggl to track our time. Toggl allows you to create categories for different business tasks (and color code them), track your time throughout the work week, and view the data through graphs and charts. This comes in particularly handy for payroll. My assistants are able to create and download reports for any given length of time so I can view the amount of hours they put into Elle & Company each week. I am also able to run reports on how much time we spend on particular parts of Elle & Company over certain periods of time, like how much time we spent on the blog vs. Ellechats over the past month. Another free tool that makes our job so much easier! There you have it! An inside look at my monthly business expenses after some paring down throughout the years. These are the essentials, and I have complete peace of mind spending money on them each month. Were you surprised to see any of these expenses on here? What are the biggest apps and tools you spend your money on for your business?